Committed to providing high quality certified organic livestock and meats. 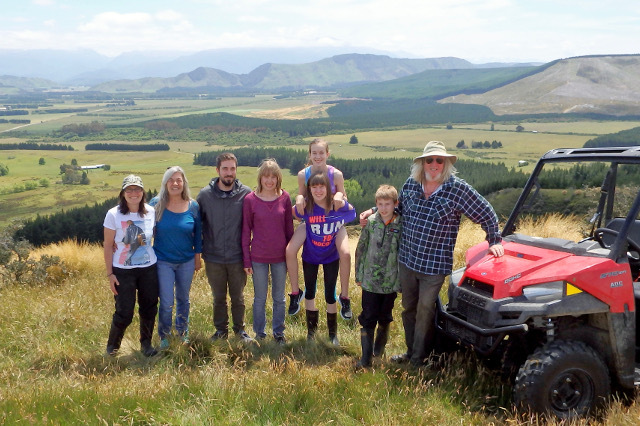 My wife Helen and I have been farming sheep and cattle organically at Mangapiri Downs, in Western Southland, since the mid-1980s. We’ve been certified fully BioGro organic since March 1989. We have four wonderful children, Jasmine, Melinda, Nikita, and Bob. Over the years our farm has evolved into an organic stud operation. Since March 1989 no chemicals, drenches, dips, vaccines or fertilisers have been used on our farm, so we have had time to breed many generations of strong organic stud stock blood lines. Organicstud® is our stud prefix. Completely family owned and operated. 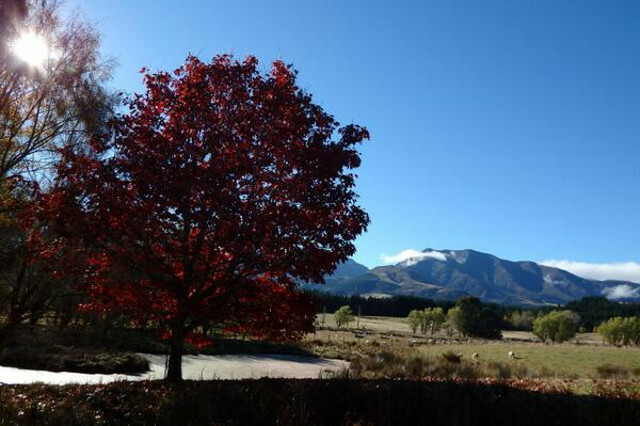 The farm has been in the family since 1937 when Dr Peter Gow from Winton purchased Belmont Station, part of the original Mangapiri run. My uncle Brent ran the farm until 1946 when my parents Bobs and Mary settled after their marriage. Bobs died suddenly at 49 on the farm and my brave mother Mary and us 5 children continued farming until my brother Peter and I farmed on our own accounts in 1981. I got to work fencing, creating new tracks, shifting old house on, building shearing shed and connecting phone and power. I named my 469 ha bare block of land Mangapiri Downs. I should have trusted my gut instincts earlier. I held onto conventional breeds of livestock far too long, I remember while converting to Organics spending too much money buying top conventional Romney rams from all round NZ. None were any help for producing good organic sheep. There weren't any organic stud stock available in the 1980s. We found that older rare breeds such as the Wiltshire and White Headed Marsh sheep, and Highland cattle were much more suited to Organics here. I could see they were performing well. They are strong breeds and haven't lost their natural immunity through overuse and dependence on drenches, dips and vaccines. Once we had made the change to organically bred Highland Cattle, Wiltshires and White Headed Marsh Sheep we found the worm, lice and disease problems we thought we had disappeared as we sent away/bred out the conventional breeds (Romney, Hereford etc). We have found stud sires need to be strong old breeds, bred organically, to be any real use on an Organic farm. Organicstud® demand was originally solely from other Organic farmers converting and a few conventional farmers that had stuck with us when we went organic. Now much of the demand comes from large organic farms and many conventional farms interested in reducing costs, reducing workload, getting away from using chemicals, drench and dip, and improving the natural immunity and hardiness in their stock. We enjoy getting feedback on the improvements in other farmers’ stock and easier farming lifestyle. We have run many recorded sheep studs starting in 1980 with the Mangapiri Romney stud. With going organic my breeding emphasis changed to breeding organic rams for vitality and natural immunity to disease and parasites. 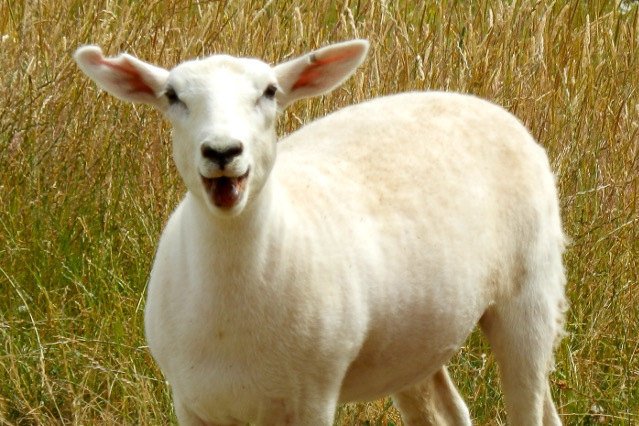 After trying 10 breeds of sheep over the years (including Romneys, Finns, Lincolns, Romlincs, Perendales and Texels) our favourite was the Wiltshire. We have been developing a new strain of Wiltshire that have never been shorn & stay hair covered all year round. 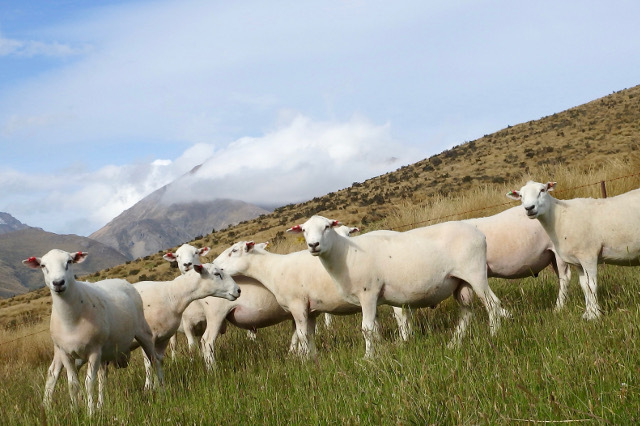 We named them and registered the trademark SHIRE®, our number one favourite organic sheep breed for farmers who want very easy-care meat production. We’re proud to have a truly sustainable Organic farm system free from dependence on imported fertilisers of any kind, or buying in inputs. In 1988 on 90 acres of land, we trialled sabbatical pastoral fallowing (sheet composting), which I had seen on my travels in Asia, the Middle East and Israel. We’ve fallowed this part of land for 4 cycles and are in the 28th year now with no fertiliser. In 1993, an Invermay scientific research survey on this block showed we had the best soil structure, root density and root depth in the research survey of 19 farms with the same soil type. That was very encouraging and all results looked good, so we continued sabbatical fallowing. Since 1995, we have used the system on the entire 503 Ha farm, 1/7th of the farm at a time. After 7 years we had done the whole farm, completing a cycle by 2002 and the 2nd cycle by 2009 and later this year (2016) we’ll have done 3 X 7 year cycles, that’s 21 years of organic sabbatical fallowing. The second rotation built on the first and we are very very happy with the results, absolutely amazed by the third rotation. The original area we experimented with is in its last year of 4th rotation (28 years) and has incredibly dense growth, biodiversity and carrying capacity. No fertiliser was used for 28 years, just sabbatical fallowing. Sabbatical fallowing has saved us from buying imported fertilisers or making hay. The method we use entails annually shutting up a different 7th of our farm from Spring right through to early spring the next year when it can be trampled and eaten off. The paddocks grow up to an outsiders eye like an untidy, uncut, very tall hay paddock, then composts and decomposes. The critical stage is the end of winter and Spring when you clean up the fallow blocks with hoggets or calves, followed by ewes or cows, shut the new paddocks up and keep the gates shut. 40-60% of the fallowed grass becomes a rich, biologically active, vitamin and trace element enhanced, deep humus layer over the blocks. It gives you a HUGE feed bank of standing hay for the winter. The paddocks perform much better in droughts (better grass growth and moisture in all paddocks) and paddocks drain better in wet conditions. Its about 11 tonne a hectare of organic compost that feeds the worms and increases microbial activity, improves soil structure, increases soil aeration, drainage and water holding capacity. The pastures’ root density & depth of penetration is improved. 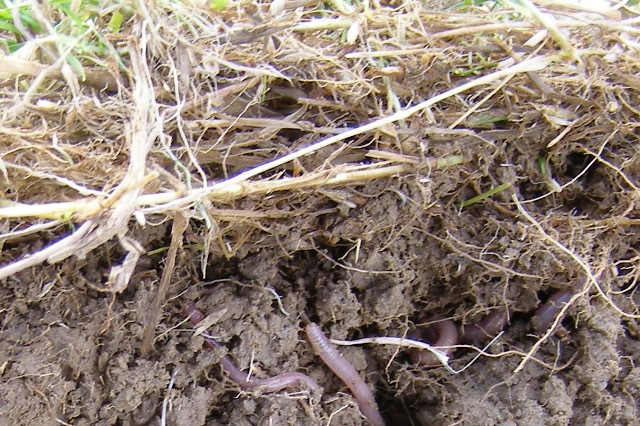 Due to additional food supplies, earthworm numbers increase enhancing the rate of nutrient cycling. It also enhances trace elements and fertility, increases nitrogen accumulation and conservation, gives a new covering of seeds and organic matter and gives the paddocks a rest too! Sabbatical fallowing is written about in the Bible (with Exodus & Leviticus promising bountiful harvests), Koran, Torah and other historical documents as the main method used at least four thousand years ago, to retain and build up fertility in soils. It was the main system used up to 115 years ago and is still very popular in many parts of the world. The Israeli Government is financially encouraging farmers to honour the Biblical command to let their fields lie fallow for one year every seven years (shmita). In 2013, about 400,000 dunams (40,000 hectares) was fallowed. Sabbatical fallowing is used in many countries to build up organic matter and can be used to convert to organics. We’ve loved rediscovering this old wisdom. 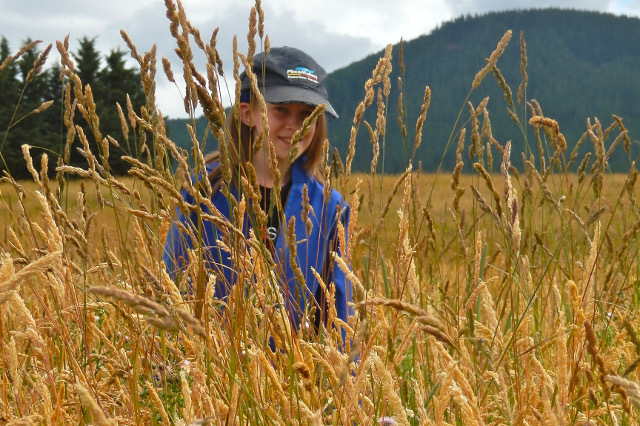 We were recently featured in the Acres U.S.A. journal for our sabbatical fallowing methods. Read the article here. 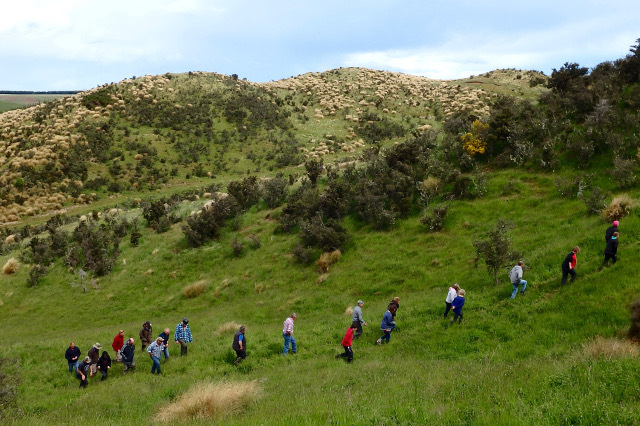 We’ve experimented with different herbal ley pastures using up to 21 different herbs & grasses. Some have been very successful while others have been grazed out, haven't suited or were just a waste of money. We often graze lambs on them before processing, as the herbs and Sabbatical fallowing can add more trace elements, vitamins and flavour to the meat. Feel free to contact us to learn more about sabbatical fallowing or converting to organics.